We go through so many embroidered stuff everyday in some or the other way for eg, we can see it in apparels, home furnishings etc, but how much do we know about their styles. Here is a basic guide to them…..
Zardosi work– A great hand work technique in which thin metallic wires of different colors are used to create different patterns. Thread work can also be done using this technique. Sequence in different shapes and sizes are also set along with different knots. 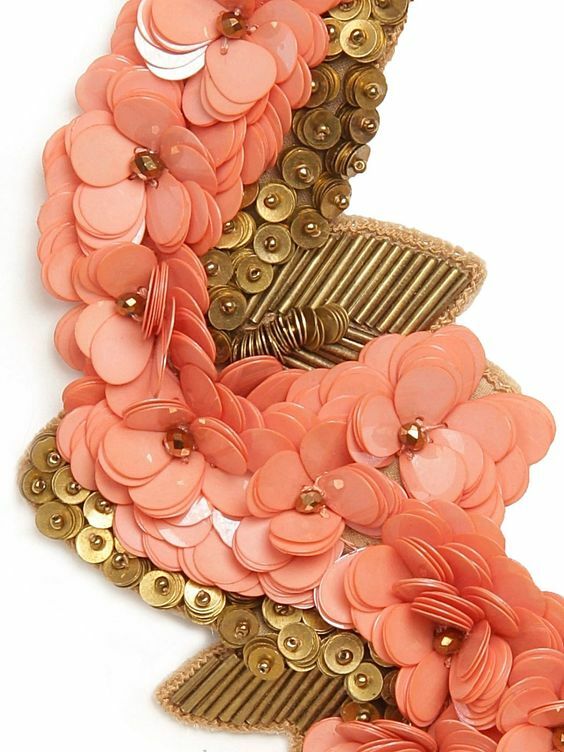 It is most widely used in apparels especially for heavy bridal wear. It is not preferred for home furnishings though. Sequence work– Sequence in different shapes and sizes are used with other embroidery materials like pipes and beads for the embroidery. They are generally made of metallic sheets in gold, silver, bronze and other colors, apart from this they are also done on plastic sheets, in different shades for a matte look. Thread work– Excellent for home linens, as the threads used are soft. Different stitches are used to do thread work like basic chain stitches, steam, knot, long and short stitches form the basis of this embroidery. 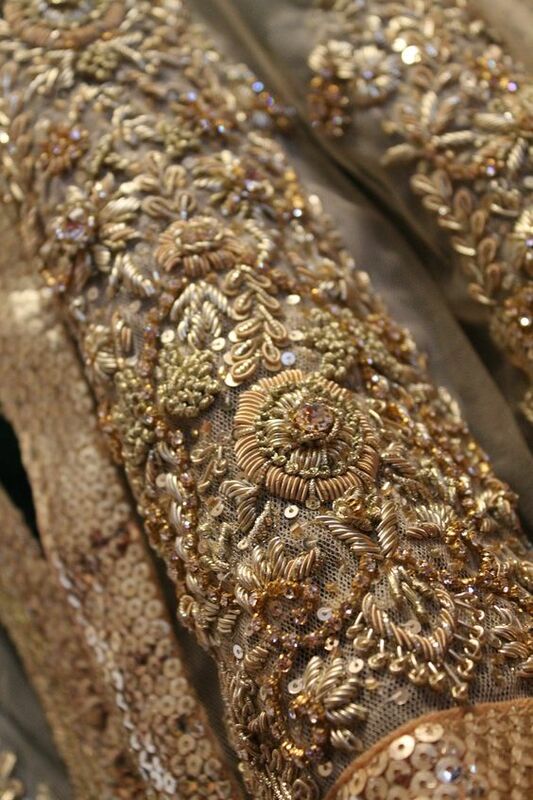 Pearl work– Generally only round pearls are used when it is fused with other embroidery styles, but when it is the main element of a particular embroidery pattern, then pearls in different shapes and sizes can be mixed with each other to create a beautiful look. Also pearls in different colors can also be used for an outstanding colorful look. Stone work– Glass stones in different shapes like round, square, oval, boat, drop etc. 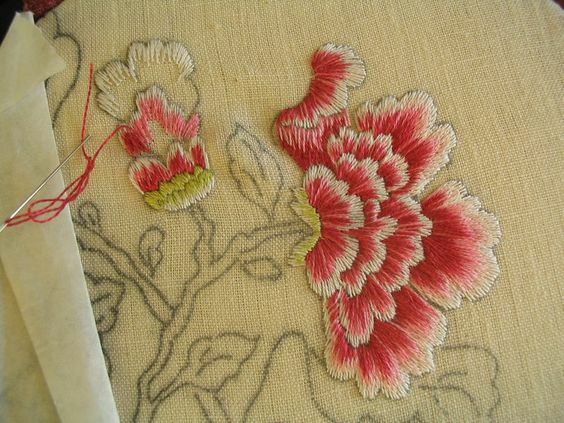 are a special part of embroideries, if different colors have to be added somewhere. They provide a beautiful colorful look to the embroidery done. These stones have a little transparent look as they are done on glass, fake stones are also available and are done on plastic therefore they are opaque. They are set beautifully in zardosi patterns, the golden base of zardosi pattern serves as a perfect base for the colorful stones to stand out. Cutwork– Traditionally it is a needlework technique in which portions of a textile, typically cotton or linen, are cut away and the resulting “hole” is reinforced and filled with embroidery or needle lace. In high end embroideries it is done over net as net does not frays on cutting, since it is not woven, so its the best fabric for cutwork. Ribbon work– This is the most interesting needle and embroidery work. 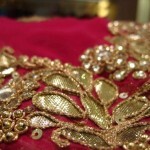 It is done with needle unlike the hand embroidery pin which is also known as Adda needle. Different knots and techniques like gather, pleats etc are used to do it. 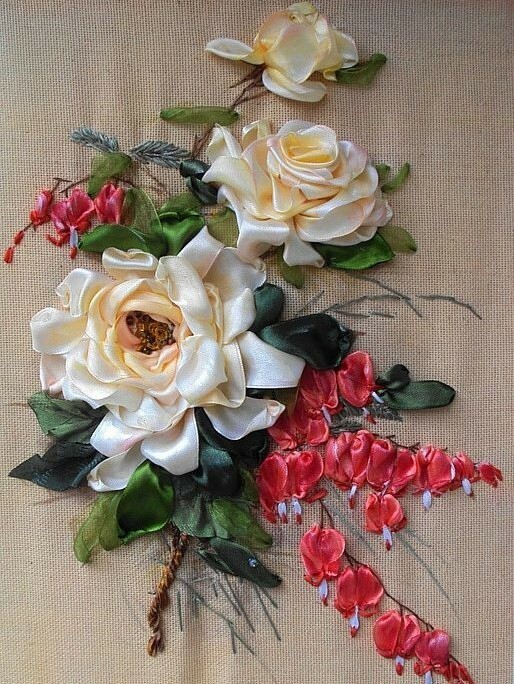 Ribbons of tissue, organza, satin velvet are used to create different textures. Home linen’s like cushions, napkins, table runners, bed covers can be seen in this embroidery style. 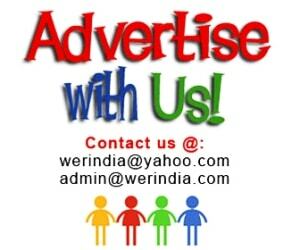 Thanks, we are glad to know that you are following and liking our posts.